CBRE New Zealand is pleased to announce the appointment of three new Directors in the company’s mid-year promotions. Senior Managing Director of CBRE New Zealand, Brent McGregor, said that the company was delighted to recognise the individual performance of its people. Tim Boyle has been promoted to Director of Capital Markets, focusing on the Industrial and Logistics sector. An established agent in the market with a strong brokerage track record, Tim leads the Capital Markets offering for Industrial and Logistics in New Zealand. “Tim’s exceptional client relationship management skills and strength in leading successful sale campaigns has been a real asset to the South Auckland team. His promotion is deserved recognition of his contribution to CBRE and the Industrial and Logistics team,” says Mr McGregor. Debra Payne has been promoted to Director of Global Workplace Solutions, leading the Portfolio Services and Transaction Management offering. 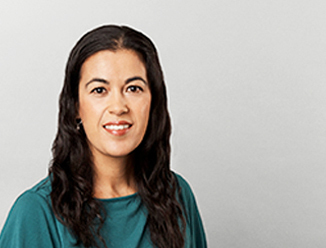 Debra is a skilled property professional whose excellent negotiation and portfolio management skills have strengthened CBRE’s offering in the market, resulting in exceptional service for clients. In Christchurch, Merv Davies has been promoted to Director of Capital Markets. With more than 20 years' experience in the market, Merv is well respected within the industry and has a wealth of commercial and industrial real estate experience, extensive knowledge and a strong network of clients.